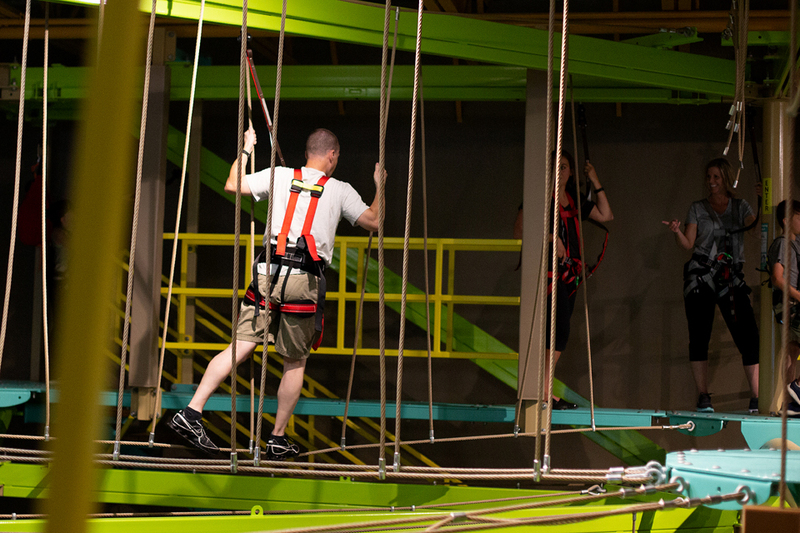 The Ropes Challenge Course has an add-on ticket price of $7 for non-members and $3 for members; Museum admission is required to purchase Course tickets. 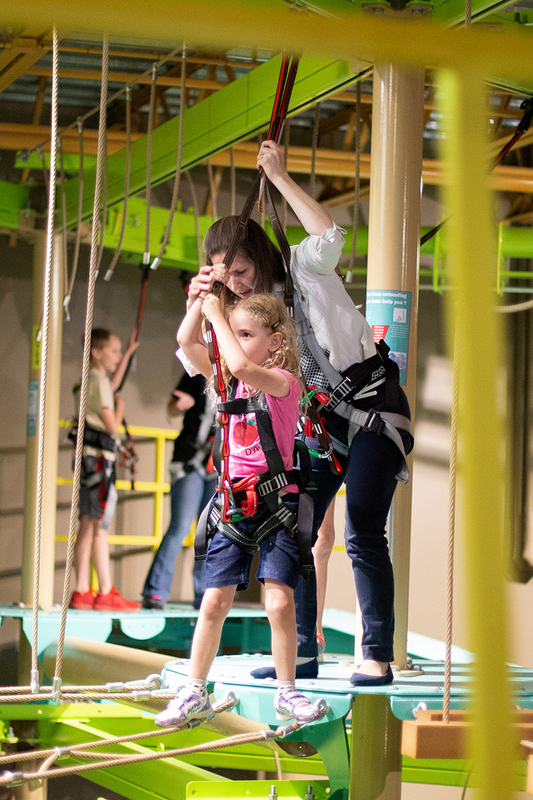 Members of the Terre Haute Children's Museum can also upgrade their membership to include a daily Ropes Course ticket for each eligible person on the membership (+ Ropes). 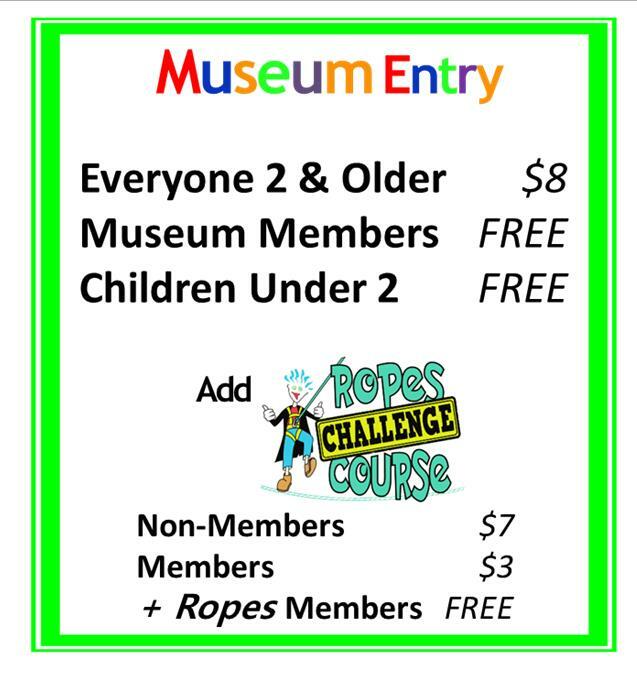 Current members of the Museum can purchase the + Ropes upgrade for $50. 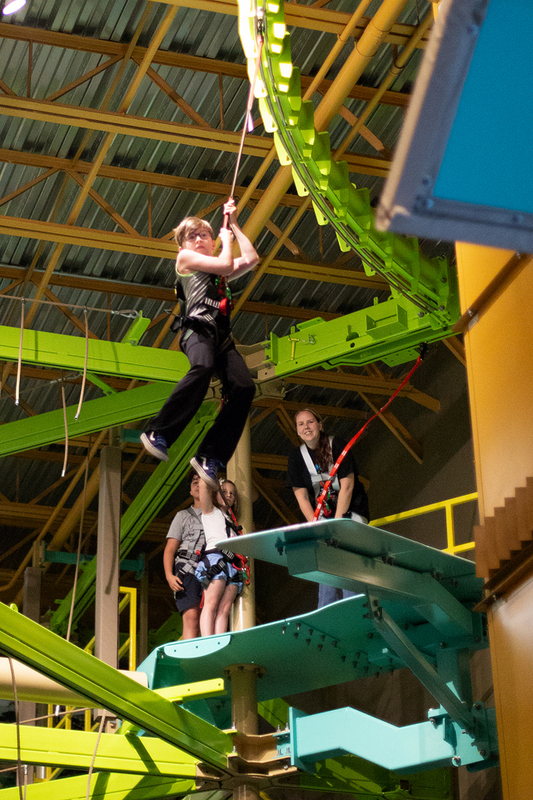 Non members can purchase a basic family membership for $125 or an upgraded Family + Ropes membership for $175. Any Ropes Challenge Course ticket - whether it be a membership pass or a day pass -- will have unlimited rides for that day. It will be much like a roller coaster; once your time is up, you can get back in line. Participants between 42" and 47" inches must climb with a responsible adult at least 18 years of age. 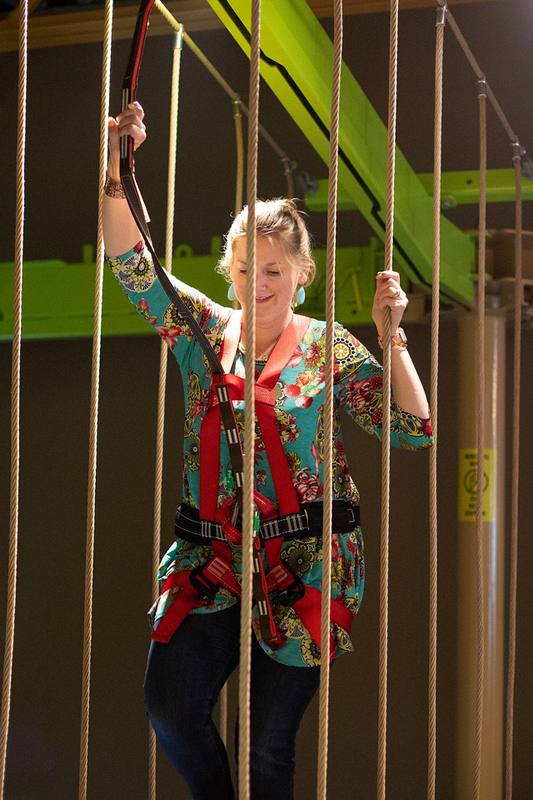 Participants must be 48" tall to participate on the THCM Ropes Challenge Course without an adult chaperone. Participant’s maximum weight must not exceed 300 lbs. (136 kg). Participant must safely fit in the harness. Closed, secured, or athletic footwear is required. No wheelies, flip-flops or open heel shoes allowed. Pockets must be empty with all loose objects removed, including cell phones. No gum, candy, food or drinks allowed. Eyeglasses should be secured and long hair tied back. Participants should be in good health to participate. THCM has no knowledge of your health condition. If you are pregnant, recovering from recent surgery, or have heart, back, neck or joint problems, please do not participate. If participating in the ropes course may aggravate any existing condition, please do not participate. Participants may be denied access to the attraction(s) for failure to follow these rules.